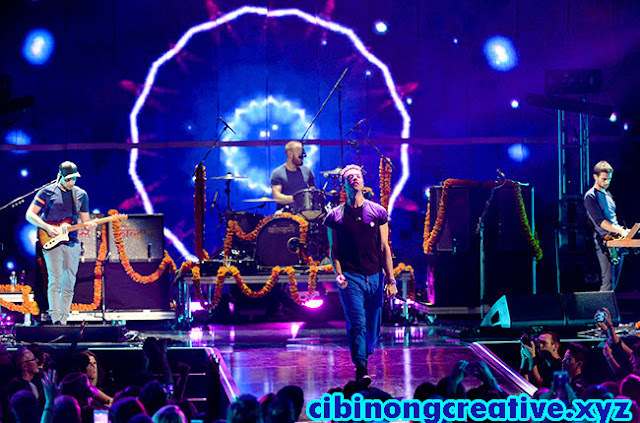 Coldplay baru saja merilis lagu terbarunya 'Adventure Of A Lifetime'. Sebuah cerita menarik lahir dari proses penggarapan lagu tersebut. Coldplay mengaku 'Adventure Of A Lifetime' terinspirasi dari salah satu lagu GNR. Lagu tersebut tak lain adalah 'Sweet Child O' Mine'. Hal itu disampaikan langsung oleh si penulis lagu 'Adventure Of A Lifetime', Chris Martin. Chris sempat meminta sang gitaris, Jonny Buckland untuk berikan sedikit sentuhan 'Sweet Child O' Mine'. "Saya sendiri yang meminta kepada Jonny udah kasih sedikit sentuhan 'Sweet Child O' Mine' milik Guns N' Roses. Saat lagu itu jadi, saya sangat suka," jelas Chris kepada Billboard. 'Adventure Of A Lifetime' masuk dalam album terbaru Coldplay 'A Head Full of Dreams'. Album terbaru Coldplay itu rencana akan dirilis pada 4 Desember mendatang. Chris Martin menyebut 'A Head Full of Dreams' akan terdengar lebih colorfull dibanding album mereka sebelumnya, 'Ghost Stories'. Ia pun mengaku sangat menikmati proses penggarapan album 'A Head Full of Dreams'. "Kami ingin memberikan sesuatu yang besar dan colorfull dibanding dengan album kita sebelumnya 'Ghost Stories'," jelasnya. Coldplay just released the new song 'Adventure Of A Lifetime'. An interesting story is born from the cultivation process of the song. Coldplay claimed 'Adventure Of A Lifetime' is inspired from one of the GNR song. The song is none other than 'Sweet Child O' Mine '. It was delivered directly by the songwriters 'Adventure Of A Lifetime', Chris Martin. Chris had asked the guitarist, Jonny Buckland to give a little touch of 'Sweet Child O' Mine '. "I myself asked to Jonny already love a little touch of 'Sweet Child O' Mine 'by Guns N' Roses. When the song was finished, I really like," said Chris told Billboard. 'Adventure Of A Lifetime' entry in the latest Coldplay album 'A Head Full of Dreams'. Coldplay's latest album scheduled to be released on 4 December. Chris Martin called the 'A Head Full of Dreams' will sound more colorfull than their previous album, 'Ghost Stories'. He also claimed to really enjoy the process of cultivation of the album 'A Head Full of Dreams'. "We want to give something great and colorfull compared with our previous album 'Ghost Stories'," he explained.